Sabrina Szteinbaum, associate news editor of student newspaper The Daily Targum, has a good summary of a speech given Tuesday to Rutgers journalism students by Lincoln Caplan. 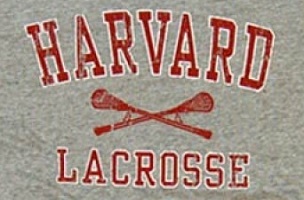 The first time Caplan played for Harvard against Rutgers in that lacrosse game, the players used old wooden sticks made by Native Americans. These asymmetrical sticks were tricky to balance. The next year he played in a game against the university, players began using newly manufactured plastic sticks, which were easier for players to balance making the game faster and more exciting. Caplan believes this situation represents the pure substitution effect, which occurs when a new technology replaces an old one very quickly and changes the way the action is done. The pure substitution effect also relates to the way technology is changing journalism. Caplan titled his speech “What is Journalism? You Will Decide” because he thinks how the next generation decides to consume information, through further pure technology substitutions, is going to determine how it is delivered. Read the rest of Szteinbaum’s article here.